So some have accused us of just being grumpy complainers. Not so our dear friends! We see ourselves as pointing out ways that people can be MORE CONSIDERATE of each other by noting the pitfalls. However, we do see ourselves as smart alecks! We are now older and hate these people. See photo above: the mall parking lot is crowded. Everyone knows it. 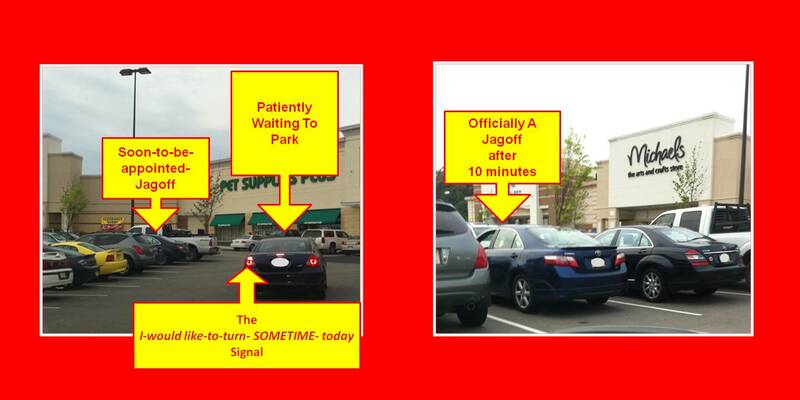 A couple in their car sees a lady go to her car and waits patiently for her to back out so that they can have her spot. The lady getting into HER car sees the car waiting for her spot. What does she do? Gets in her car, checks her purse, puts on her make-up, looks in her mirror at the people waiting, takes a drink of her milkshake, puts on lipstick, checks her phone, fixes her milkshake in the cup holder, adjusts her shoe insoles, checks for zits in the rearview mirror, dabs her excess lipstick on a tissue, etc, etc. almost to the point that the waiting-patiently driver behind her burns out the bulb in his left turn signal! One thing to say, can ya be a little more INCONSIDERATE? Pull out of the parking spot, YA JAGOFF!! Oh No! Pens in Game 7! Let’s Hear Ya!